Back in 1994, there was a huge comic crossover event. 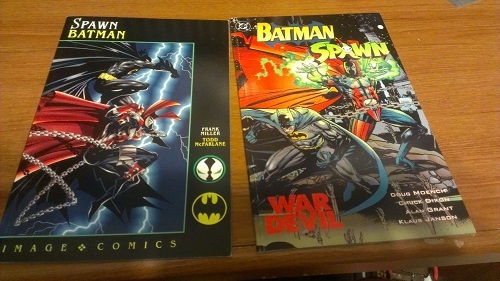 Batman was going to appear in Image Comics in an issue of Spawn and Spawn was going to appear in DC Comics in an issue of Batman. Each would have their own take on the characters. I really do enjoy both of these comics, but how can you go wrong with Frank Miller and Todd Mcfarlane teaming up together? Miller is known for some of the best Batman stories including the Dark Knight Returns and Year One. In fact, the cover itself is a nod to “The Dark Knight Returns“. McFarlane known for his amazing artistic style and the creator of Spawn. 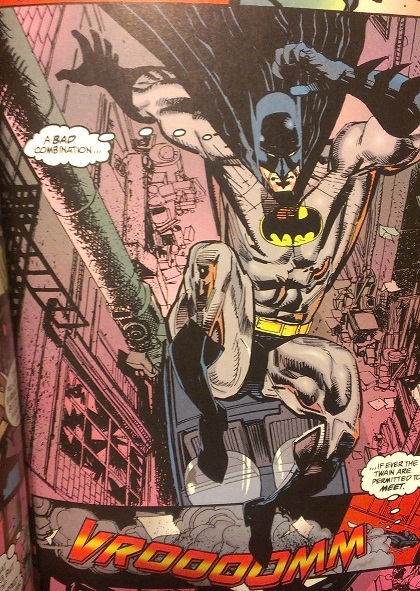 In the Image comics version of the story; Batman goes to New York where he ends up getting in a brawl with Spawn. After fighting to near death, they realize they have a common enemy. So, they team up to stop an enemy. Batman, like always thinks there’s always another way than just killing their foe. Unfortunately, Spawn is a killing machine and he doesn’t stop with this person. The leave each other with respect for each other right before Batman throws a Batarang right into Spawns face. The DC Version actually has a subtitle, “War Devil”. 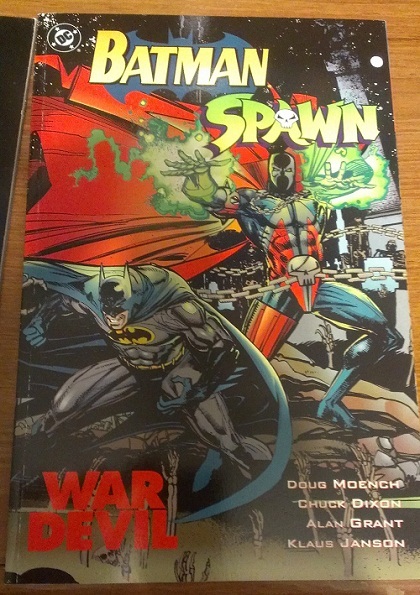 In War Devil, Spawn finds out that a person he killed when he was still alive is now opening the Gotham Tower. So, he heads over to Gotham to investigate. At the same time Batman knows the building was funded on some mob money, and he’s doing his detective work as well. Batman finds a dead mob boss in the basement of the tower. The body is surrounded by a pentagram made of blood. It turns out the guy spawn is looking for is the same guy that killed the mob boss. 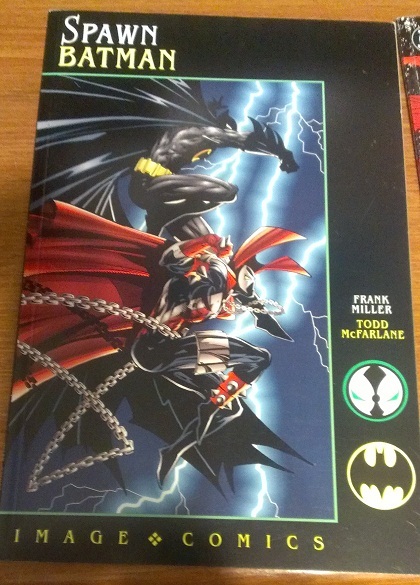 Spawn and Batman team up to stop this guy. His plan is to open a portal to hell and send several “souls” to hell with him. In exchange the Devil is supposed to give him his own personal corner of Hell. 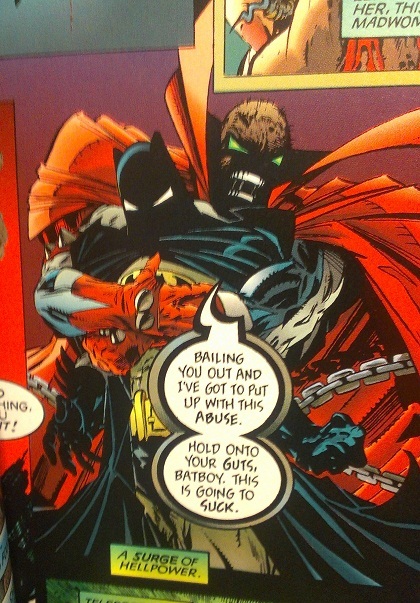 Of course Batman & Spawn are able to save the day. And stop the Zombie Apocalypse. I would say both of these comics are good stories, and you can’t go wrong with picking up either one. I wasn’t able to find a digital copy anywhere, so you’ll have to go to your local comic book store and pick one of these up from the 1994 long box.